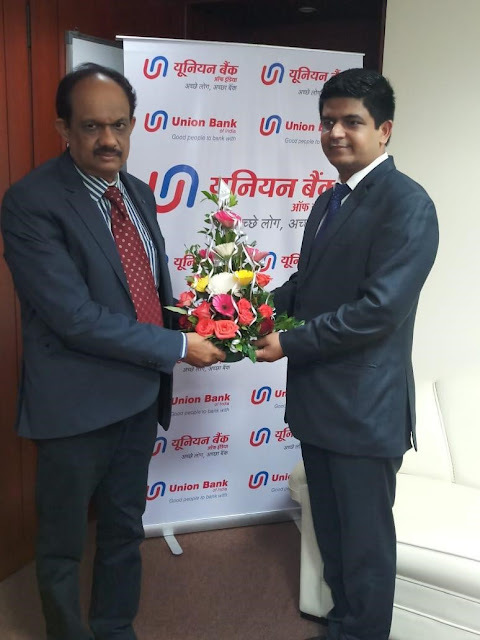 In the light of Hon’ble Prime Minister making it mandatory for corporates and financial institutions to join Trade Receivables Discounting System (TReDS) platform for the betterment of Micro, Small and Medium Enterprises (MSMEs), M1xchange announces today that Union Bank of India (UBI) has partnered and joined its TReDS platform for factoring of the invoices of the MSMEs in compliance with TReDS guidelines issued by RBI. A formal agreement between UBI and M1xchange was signed by Mr P.S. Rajan, General Manager-Credit Policy & MSME, Union Bank of India and Mr Ramesh Bisht, CFO, Mynd Solutions Pvt Ltd. Launched by outsourcing and consulting firm Mynd Solutions, M1xchange has already on-boarded many large corporates, PSUs, their MSME vendors and financiers (banks - public, private, foreign and NBFCs) to do the financing transactions. The use of TReDS is aimed at improving the flow of funds to the MSMEs by reducing the realization cycles of receivables. TReDS allows MSMEs to post their trade receivables on the system and get them financed. Despite the important role played by MSMEs in country’s overall economic growth & employment generation, they continue to face constraints in obtaining adequate finance, particularly in terms of their ability to convert their trade receivables into liquid funds. TReDS is a digital platform where MSMEs can post their trade receivables on the system and get them financed at a competitive rate through an auction mechanism where multiple financiers can bid on invoices accepted by PSUs / Corporate Buyers. This not only gives them greater access to finance but also puts greater discipline on corporates to pay their dues on time. This would be great enabler for MSMEs and incentivize the corporate for prompt payment to MSMEs. At the same time adequate financial support to such MSMEs through this unique online platform with inbuilt hassle free process will be easier for businesses to adopt. Trade Receivables Discounting System (TReDS) is a regulatory framework put in place by the Reserve Bank of India under the Payment and Settlement Systems Act 2007 (PSS Act) to regulate the trade receivables between MSMEs, large corporations and financiers. TReDS is an institutional mechanism set up in order to facilitate the financing of trade receivables of MSMEs from corporate buyers through invoice financing by multiple financiers. The TReDS will facilitate the discounting of both invoices as well as bills of exchange. Further, as the underlying entities are the same (MSMEs and corporate and other buyers, including Government Departments and PSUs), the TReDS could deal with both receivables factoring as well as reverse factoring so that higher transaction volumes come into the system and facilitate better pricing. Mynd Solutions is one of the very few entities approved by RBI to set up this online platform which is known as Mynd Online National Exchange (M1xchange). M1xchnage was launched in April 2017, to set-up and operates TReDS under the Payment and Settlement System (PSS) Act 2007. M1xchange aims to provide MSMEs Supply chain related cash flow finance at competitive rates through an open bid process via multiple financiers. M1 employs the latest technologies to ensure the authenticity of the underlying transactions.